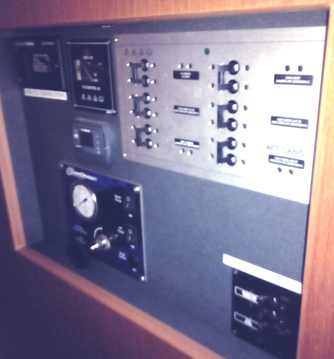 Control Panel fitted inside cabin locker. 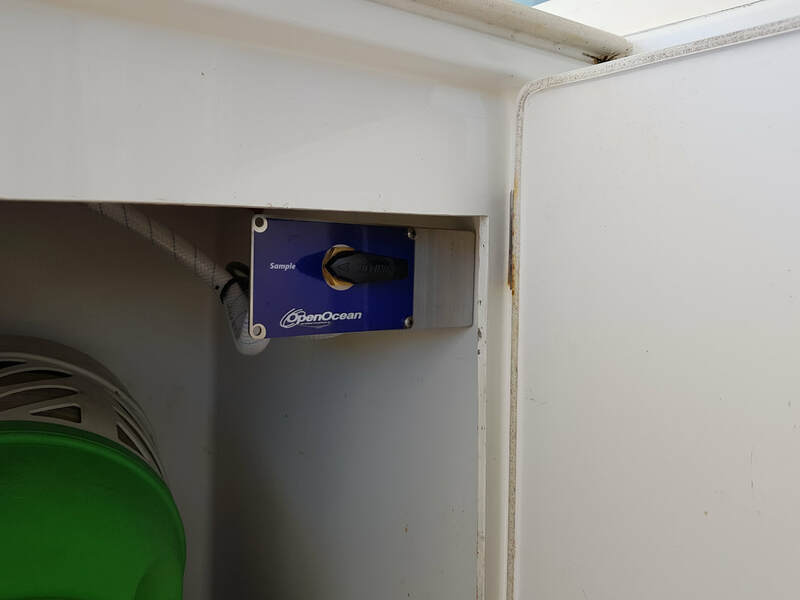 Out of the way, yet easy to get to. 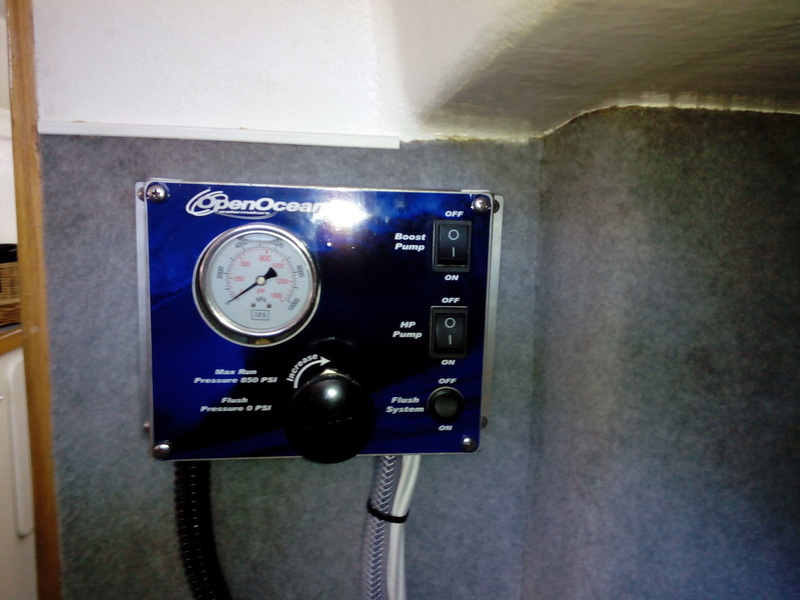 Control panels nicely fitted and recessed into bulkhead. 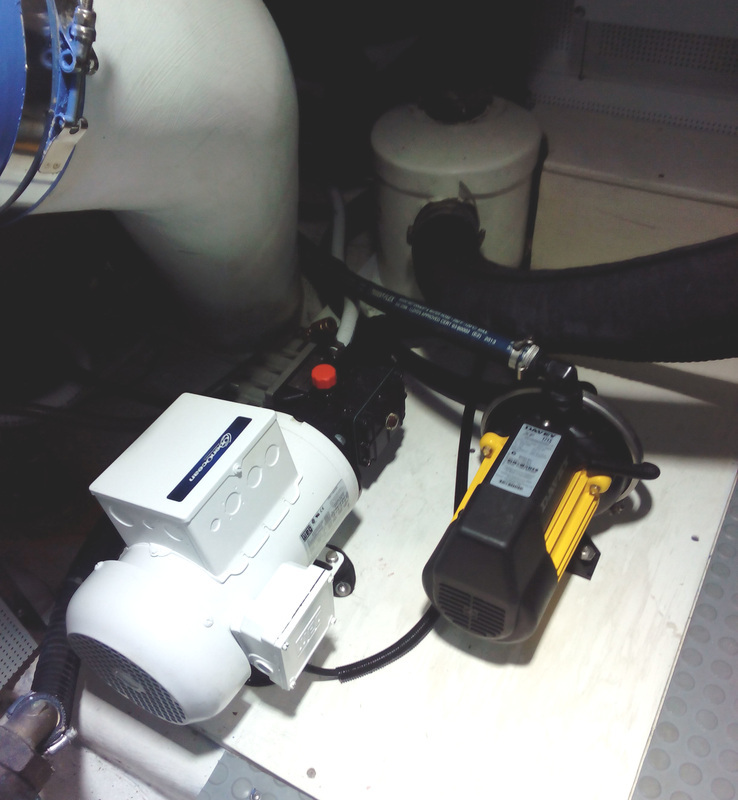 This system has the optional tank selector valve. 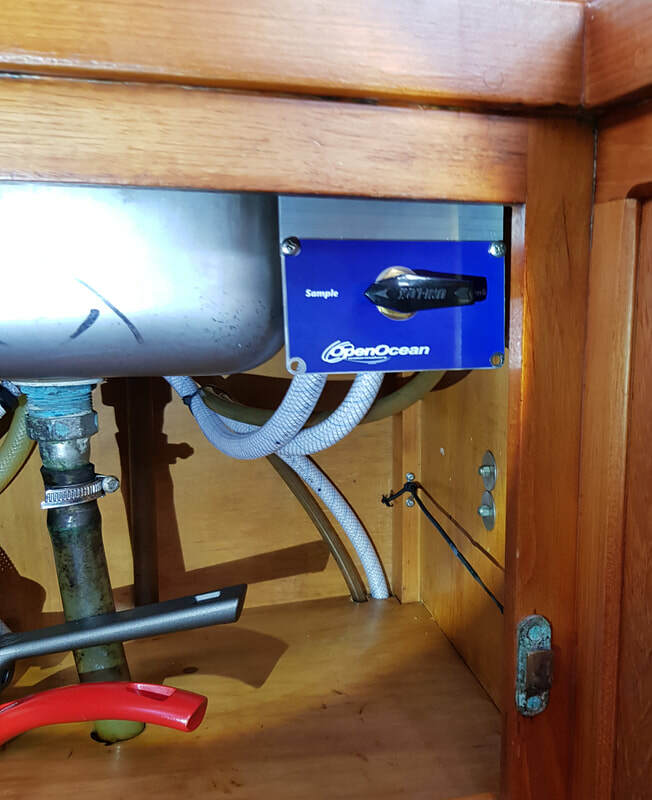 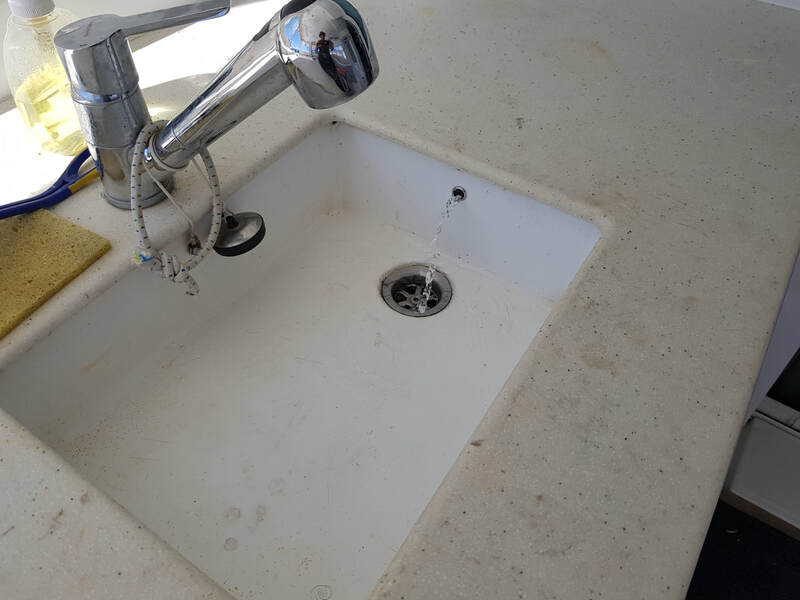 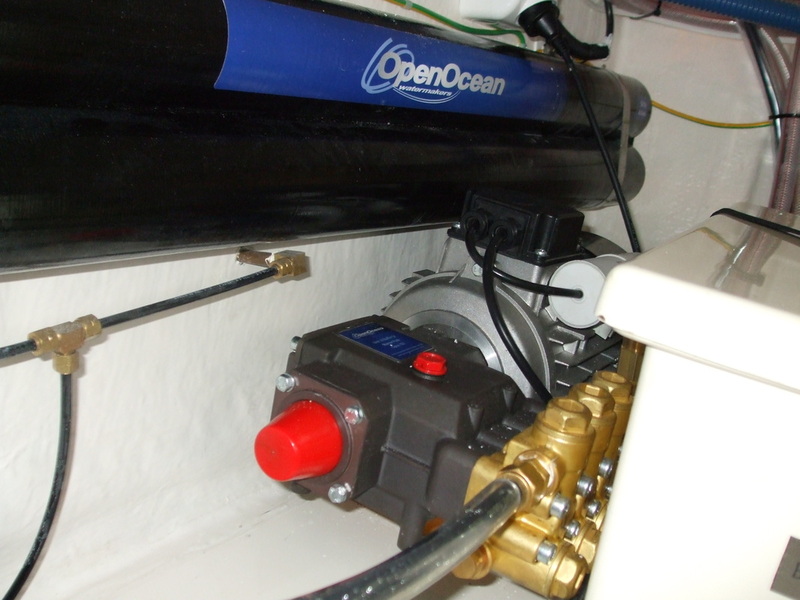 Sample/Tank Valve fitted in locker under galley sink. 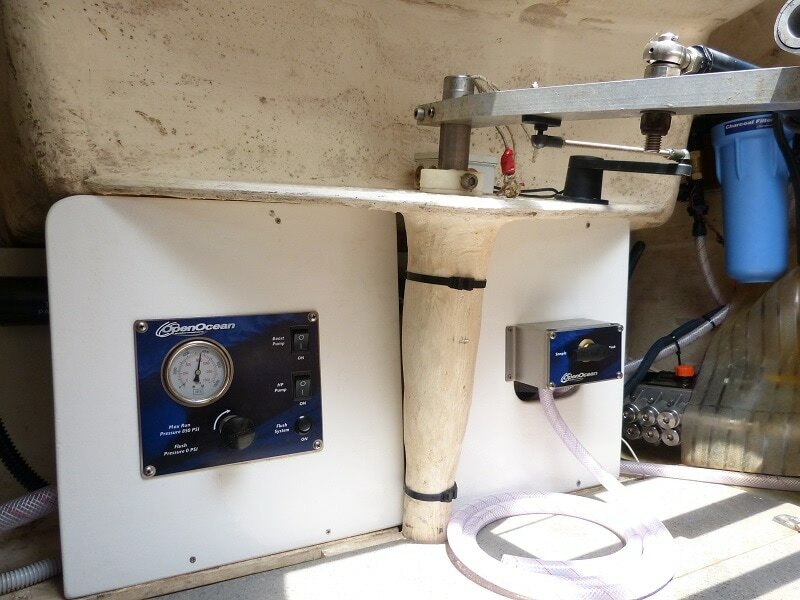 Sample water plumbed to share faucet with foot pump. 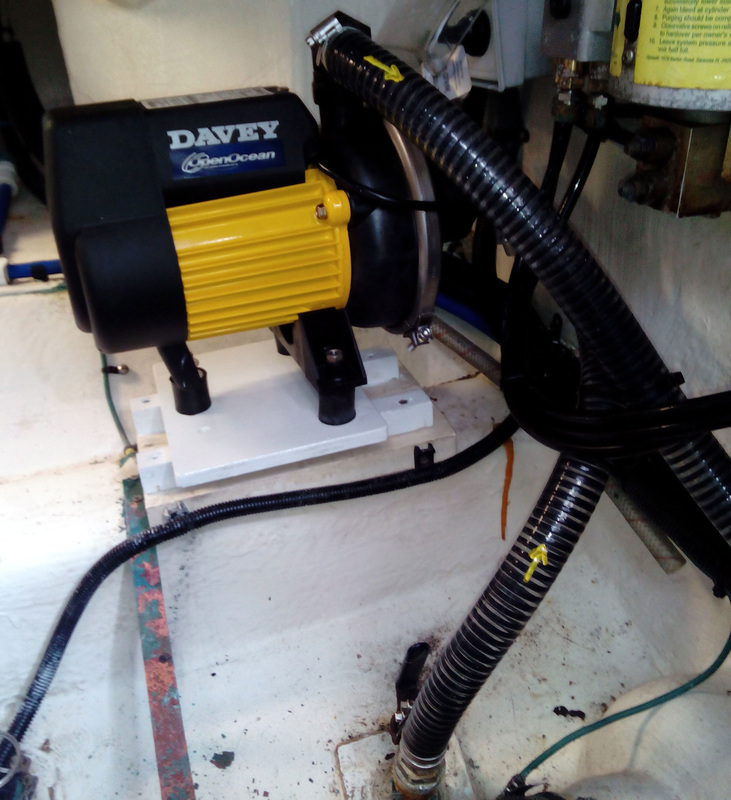 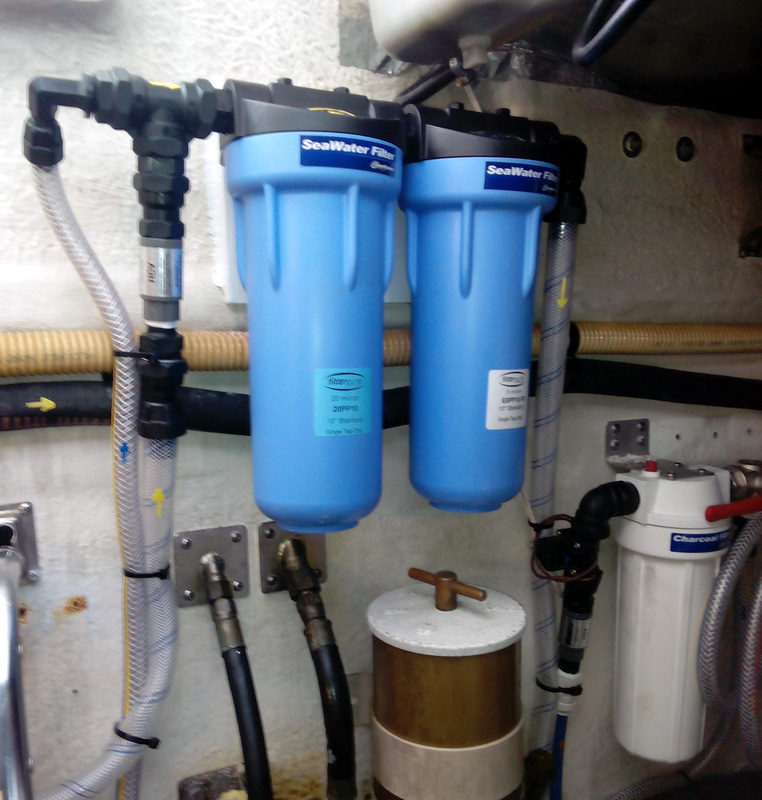 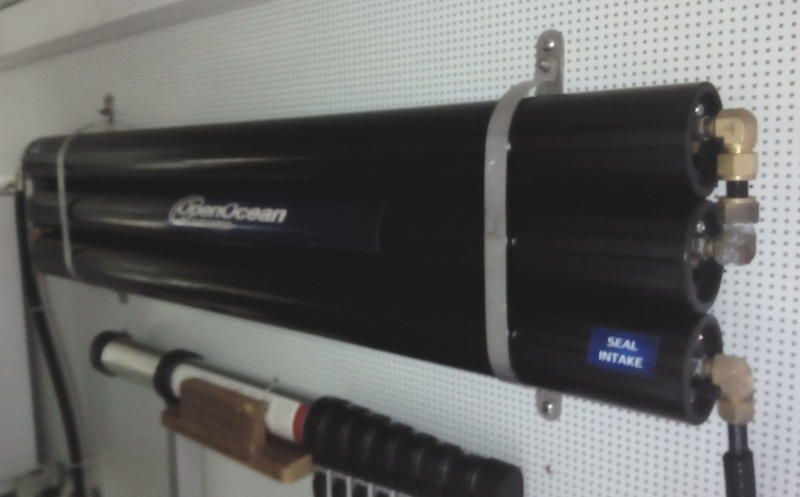 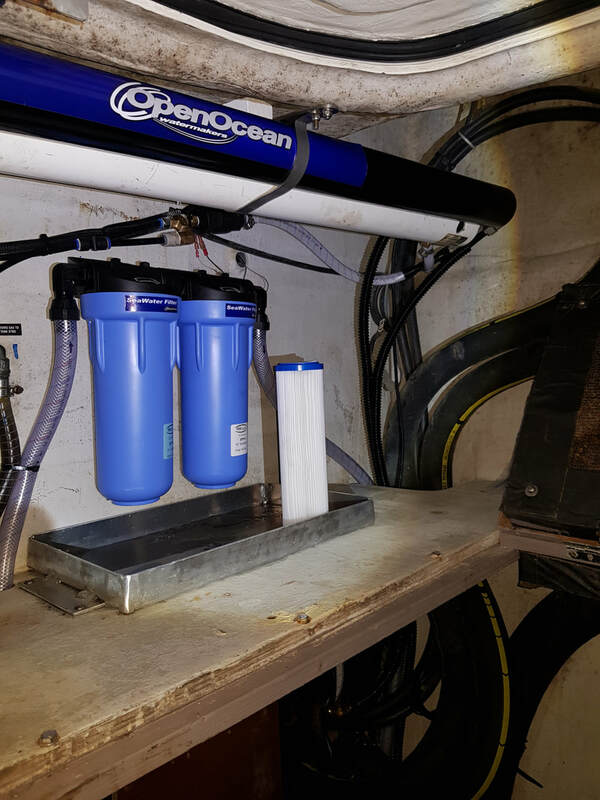 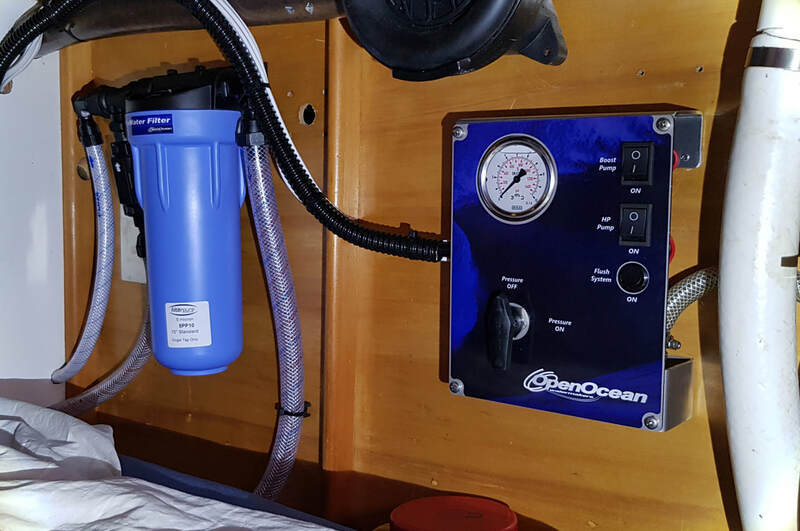 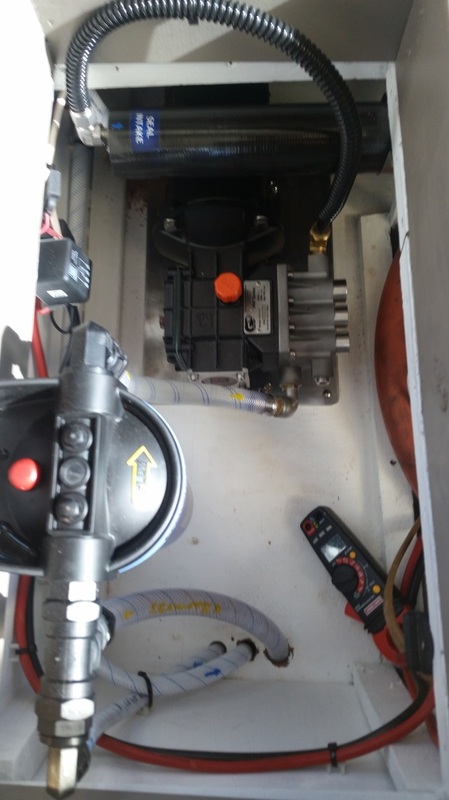 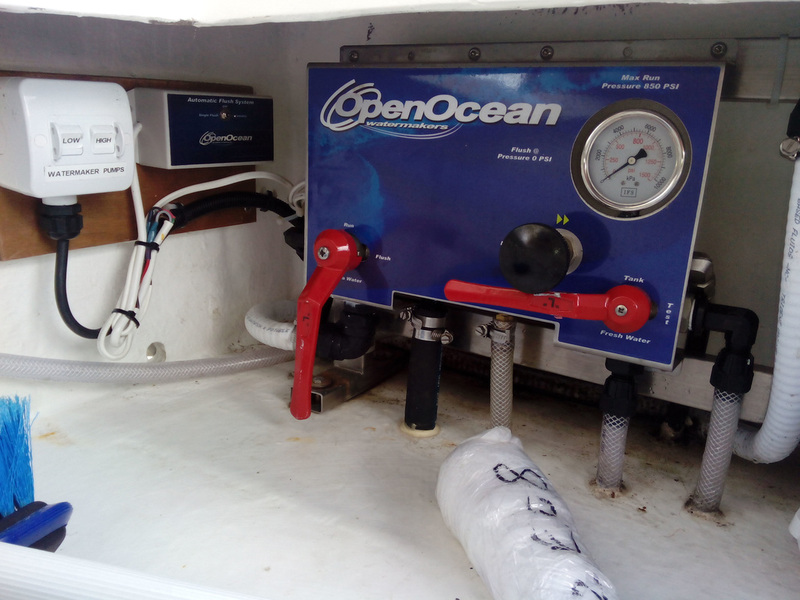 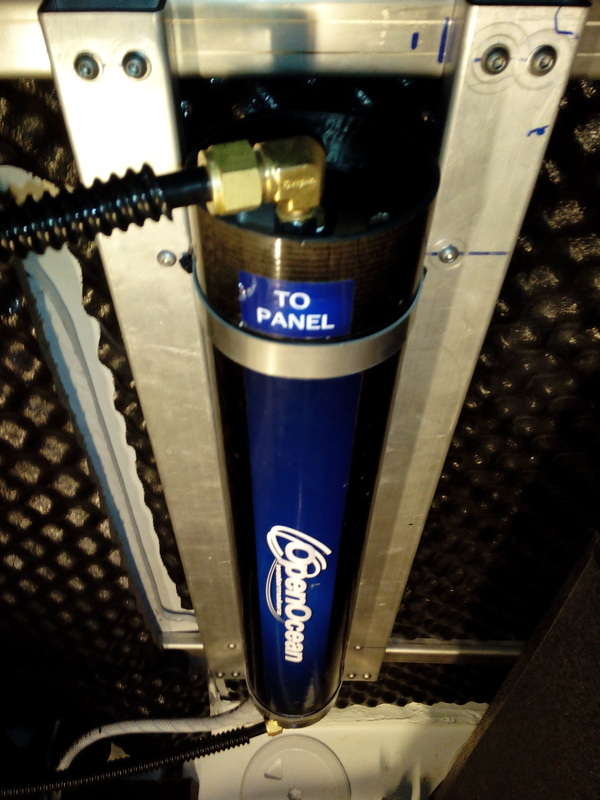 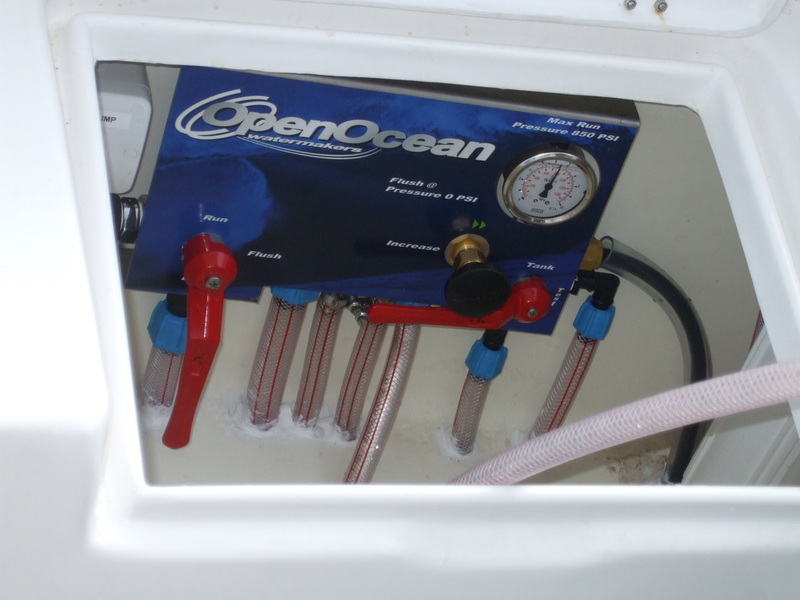 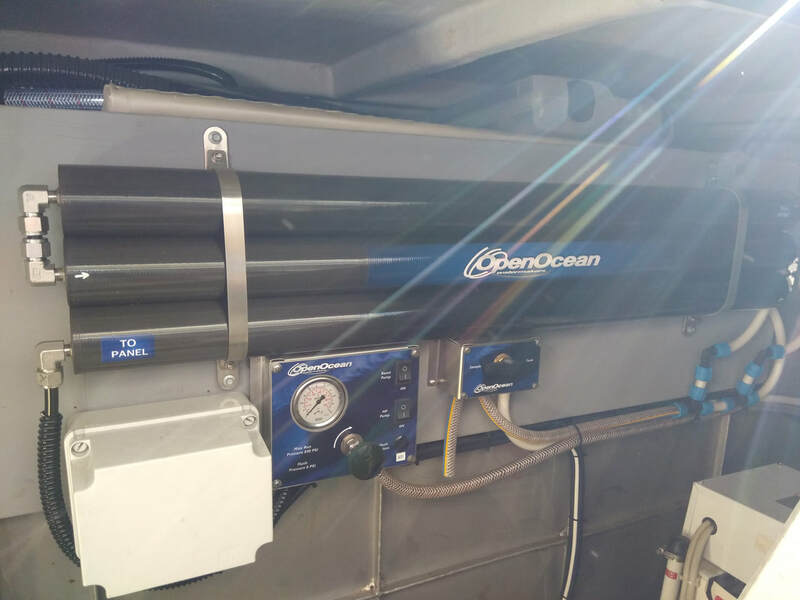 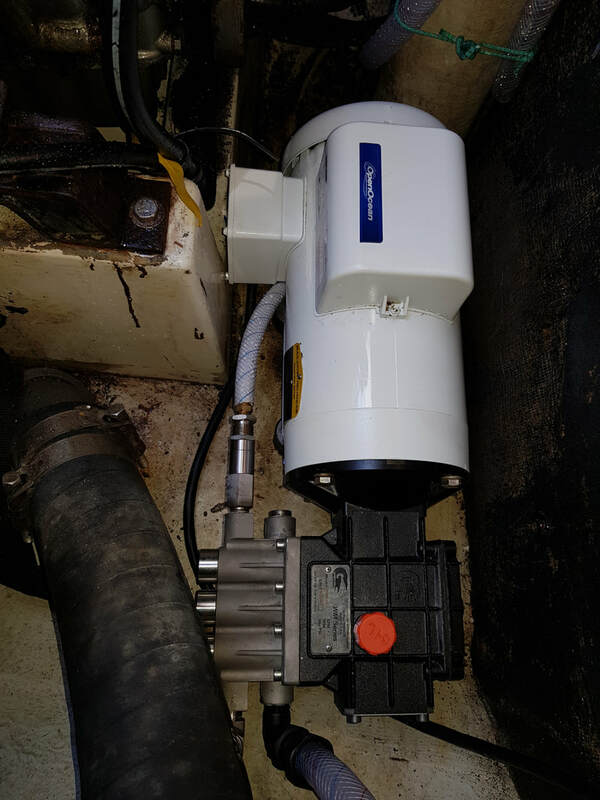 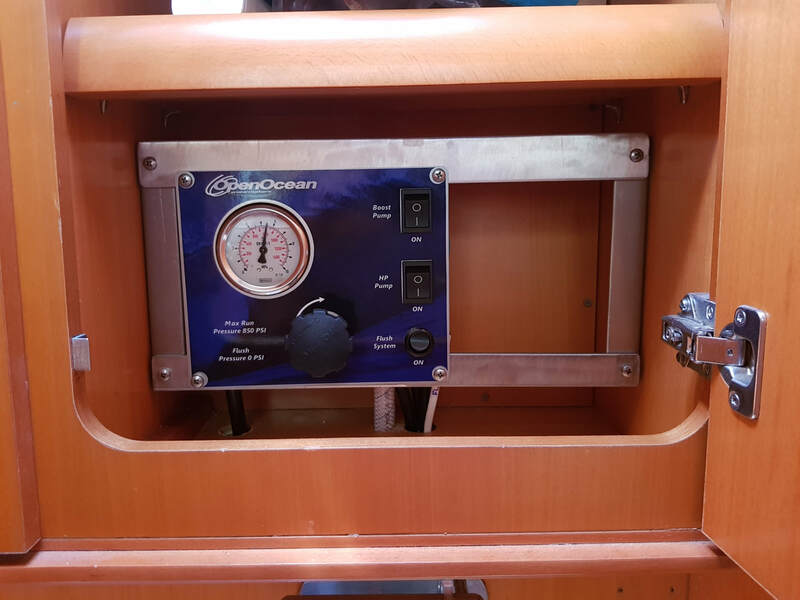 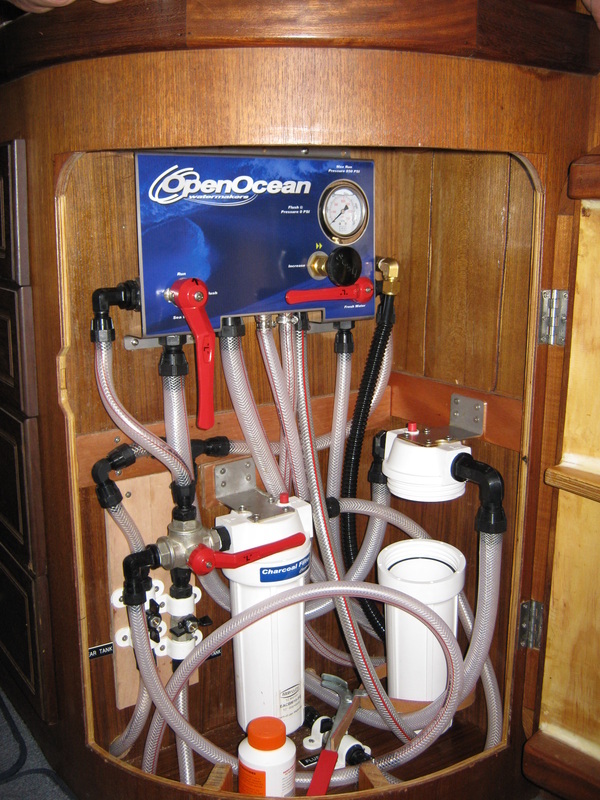 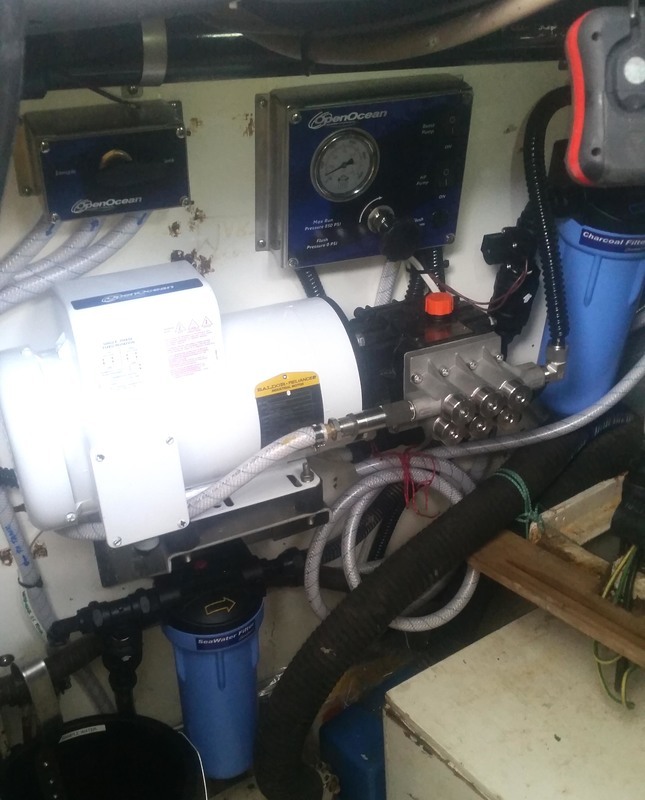 230 litre per hour system fitted on aft bulkhead in engine compartment. 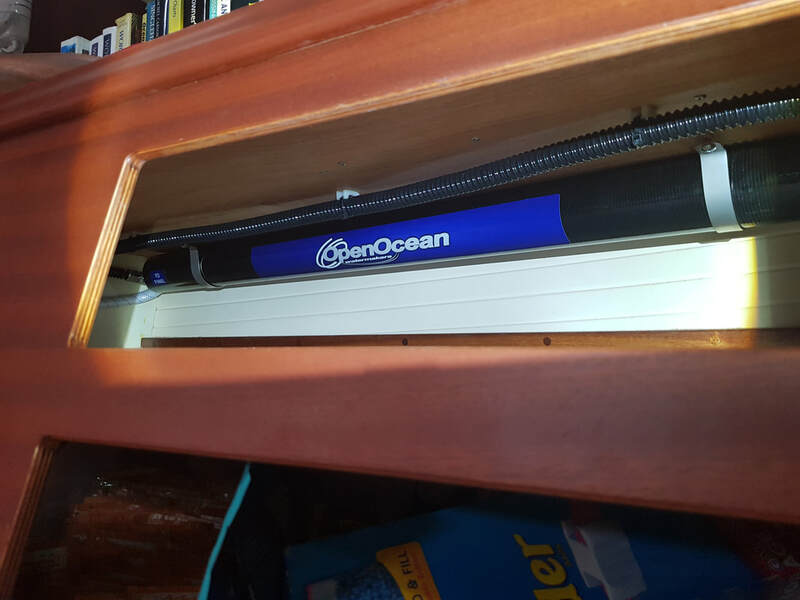 Everything is easily accessible just inside the door. 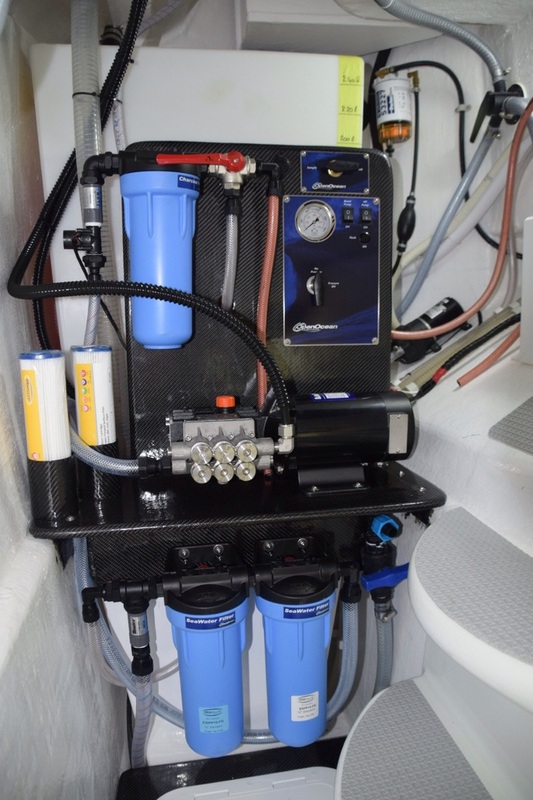 This is a compact installation of a 240 litre per hour AC system. 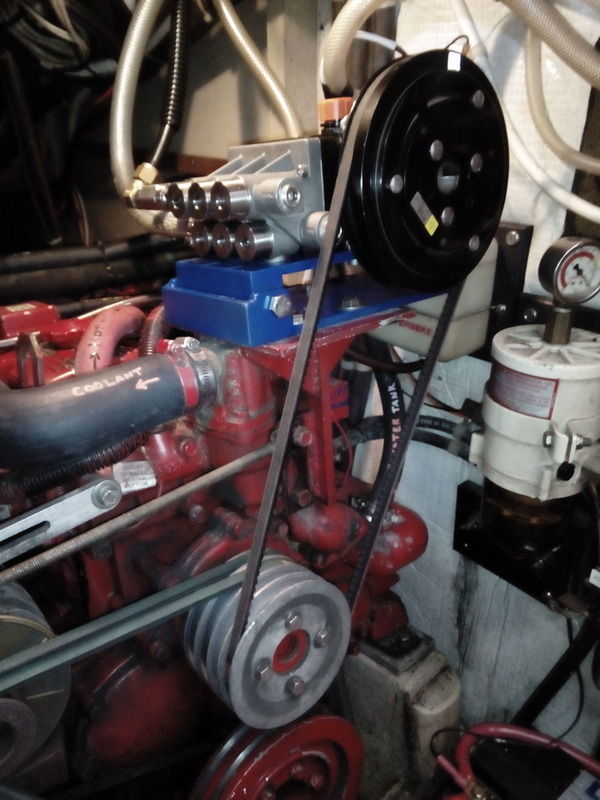 AC pump and motor fitted in engine room just ahead of the engine bearers. 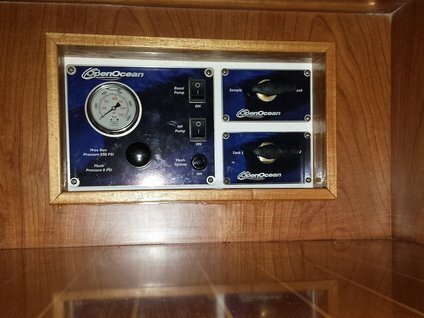 Membrane fitted in locker behind settee back-rest cushions. 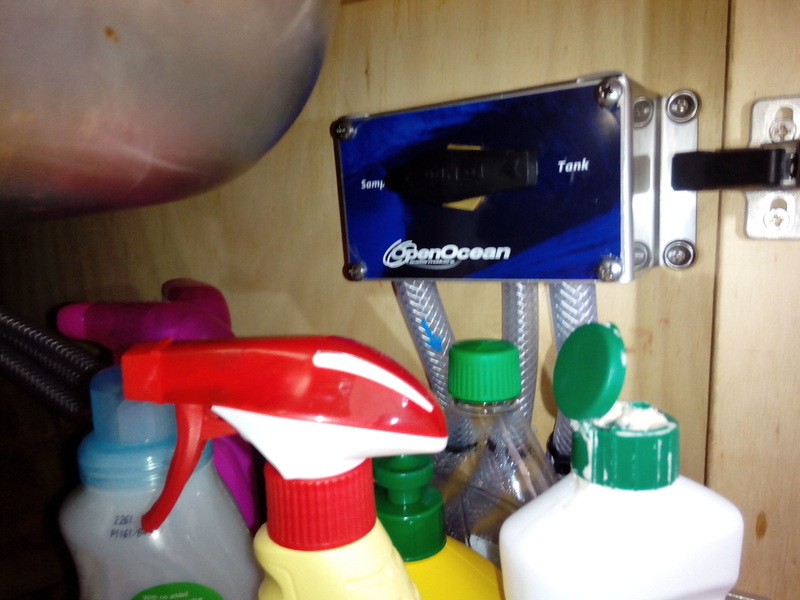 Most of the locker is still available for storage.